Remembrance Day is a time I believe that is not nearly acknowledged enough by many. As Canadians, we wake each morning, and live what is the result of many young men's sacrifices. These sacrifices have given us the freedom we so willingly take, and often take for granted. This time of year always had a significant effect on me personally, as it allows myself to sit and reflect on all that I am so grateful to have. I hardly know where to begin. 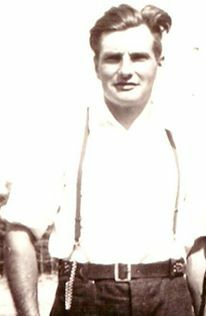 My great-grandfather, Arthur Scott Coughlan (1919-2004), served in World War II, as a private (rank) in the York First Division. He was married to Nora J. Sturgeon and the father of twelve children. 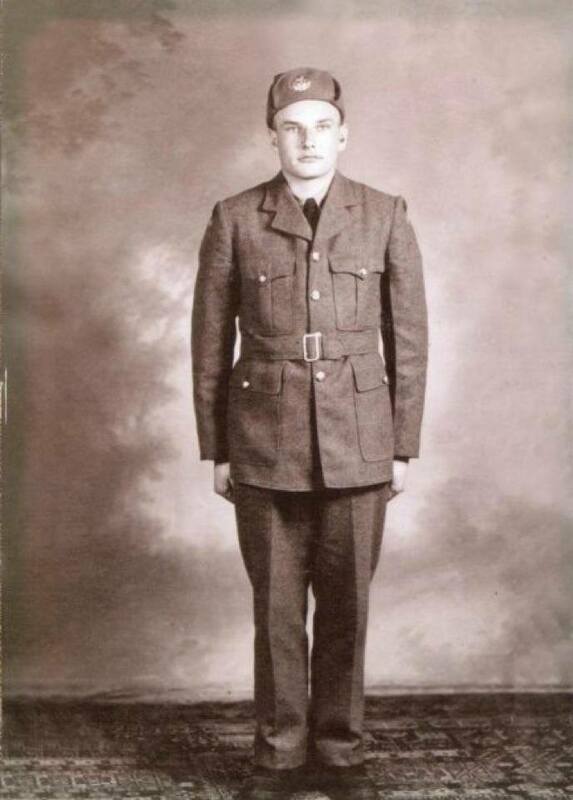 On June 8, 1942 in Fredericton, New Brunswick, he was enlisted into the army at the young age of 23, leaving his wife and 3 children at home, with his youngest son being only 2 months old. 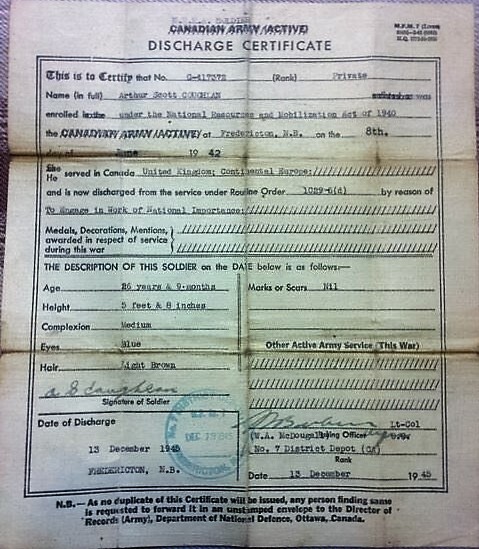 He served in many places including here in Canada, the United Kingdom, Continental Europe, England, Belgium, Holland and Denmark. 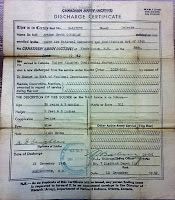 He was discharged from services on December 13, 1945 at the age of 26. Like many others, the war was not often a topic that was mentioned around the home, although there were not all bad memories that came from his war experience. His children remember him teaching them how to properly hold a gun, stand on command or him reciting the "G-417372" so many times over the years that it is something they will forever remember. "Dad often spoke of the children who would come to the barracks looking for food. There was one little girl in Holland who they used to smuggle under the fence and feed. She was awfully thin and frail. By the time they left she was so fat she couldn't crawl under the fence. Having three small children back home in Canada, the hungry children broke his heart". -Remembering Our Veterans: Expanded Edition (2007). It gives me a strong sense of pride knowing that my great-grandfather was part of such a prominent time in our history by serving our country, and that his efforts have made an impact on many lives, including those of his own children.